For the past almost decade, various yoga techniques have been part of my daily life. It all started with my first Svaroopa® yoga class - my entire life changed instantly. I had chronic pain and stiffness in my neck and back due to previous car accidents and I felt instant relief during my first class. Yoga has continued to change my life each and every day since. To me, yoga is a way of life. Over time by practicing Svaroopa® yoga, my physical ailments were healed, deep seated emotional issues were released (and continue to release), and my heart opened for the first time in my life. Yoga was the catalyst to my spiritual awakening and to raising my vibration. For more about Svaroopa® yoga and how this practice changed my life click here. Yoga actually is a way of life and a philosophy, but it has been re-interpreted to mean a form of exercise by many western cultures. Since 2002, I have immersed myself in yoga. By reading many yoga texts, and within the extensive Svaroopa® yoga teacher training that includes learning yoga philosophy, I have an understanding of what “yoga” really means. 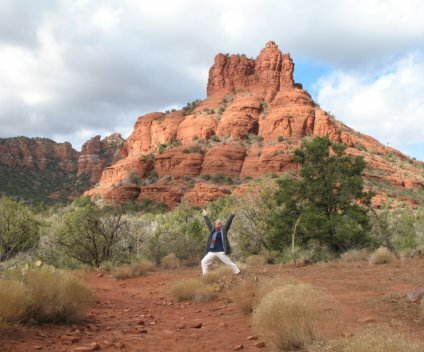 I have practiced yoga techniques daily for years, and I have gone on numerous week-long retreats with the founder of Svaroopa® yoga, Swami Nirmalananda Saraswati. Various yoga techniques and philosophies are part of my daily spiritual practice. However, I only incorporate philosophies that I agree with from within my own self. That is, I follow my heart with any philosophy - being careful about not following any certain approach dogmatically. Follow your own inner guidance to what feels right for your path - listen to your heart! For my summary of the definition of yoga including the meaning and types of yoga from the yoga texts click here. The most profound experience of my life has been the awakening of my Kundalini energy. 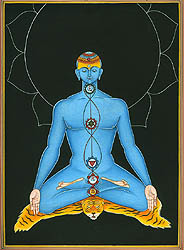 The Kundalini awakened in me early on in my yoga practice - in 2002. I previously didn't know about it or what it was when it happened. Initially, I experienced kriyas while in meditation or when in a few yoga poses. Kriyas are but not limited to spontaneous movements of the body that are brought upon by the Kundalini energy as she removes blocks from the energetic body. 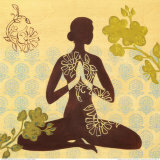 Svaroopa® yoga is the fast track for awakening Kundalini. This yoga literally uncurls your tailbone and opens the dormant Kundalini energy that resides in your base chakra. For more about Kundalini energy and my experiences click here. What are chakras and how do they relate to raising your vibration? Click here to learn more. 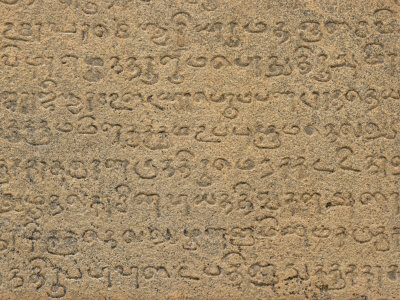 I love the vibration of the ancient language of Sanskrit. The vibration of these ancient sounds is very high - just speaking Sanskrit names of poses or chanting Sanskrit sutras raises your vibration. I can feel the lightness of the sounds rolling off my tongue as well as a light and easy feeling in my torso and crown chakra when I speak Sanskrit words. I love to learn and say the names of the yoga poses - very fun to say and learn. They are a fun vibration! Try it - say: “Shavasana”. “Eka pada raja kapotasana” (one footed king pigeon) is a favorite pose to do and say! Or “Bhujangasana” (Boo-jan-ga-sa-na) - very fun - cobra pose. One of my favorite yoga techniques is to chant in Sanskrit before meditation - chanting is a wonderful tool to prepare your being to go deep inside. “By chanting Sanskrit, you can put your whole body and mind into such a state of vibration that you begin to experience yourself as energy rather than as solid physical form.” - Vyaas Houston, the founder of the American Sanskrit Institute. We love listening to so many different chants as well - it is our favorite music to listen to. I can actually feel the power of the chants vibrating through my body and chakras. I love to practice yoga to these chants - a beautiful combined practice of going deep inside yourself. Namaste. Every yoga class ends by saying this Indian greeting. 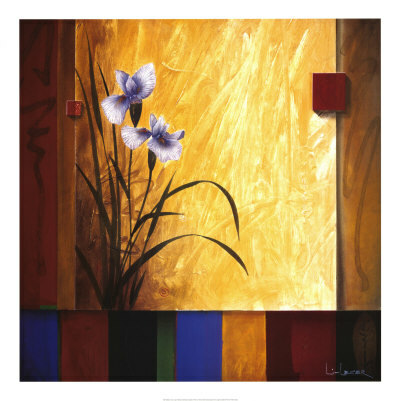 Learn more about “Namaste” by clicking here. By adding just one of these yoga techniques or practices to your day, you may notice a significant difference in your life. Living a more vibrant life, being ever more aware of yourself and your environment on all levels of being, and raising your vibration is cumulative. Each day you become more aware, more vibrant, more alive! You live life more open, have more joy, more peace, more love. Imagine living life with yoga as a way of life. Create what you imagine little by little, step-by-step, by adding in another practice over time. Love, blessings, and Namaste.